HomeAll PostsContentNewsFPP Walking Workshop 2013! Updated 11 April 2013 - Over 50 folks Registered! 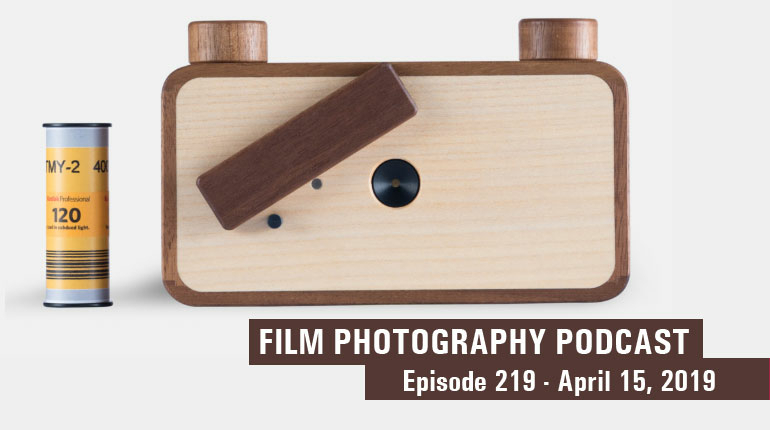 Join host photographer Leslie Lazenby with special guests FPP Hosts Michael Raso, Mat Marrash and Findlay University's Professor Jeff Salisbury for a casual, fun weekend of film photography! What is The FPP Walking Workshop? Rather than a standard, sit-down or classroom scenario, FPP Walking Workshop is a fluid, fun weekend of casual instructions on all formats of traditional photography including Instant, 110, 35mm, 120, 620, 4x5 and 8x10. Bring your fav film cameras or check out a camera from the Imagine That shop. Reservations required (Come one day or all three). FPPers who pre-register by 4/5/2013 will receive our famous FPP "Goodie Bag" filled with film, stickers and who knows what! After April 5th, have not registered and plan on attending, please e-mail Leslie asap. We'd love to see you! 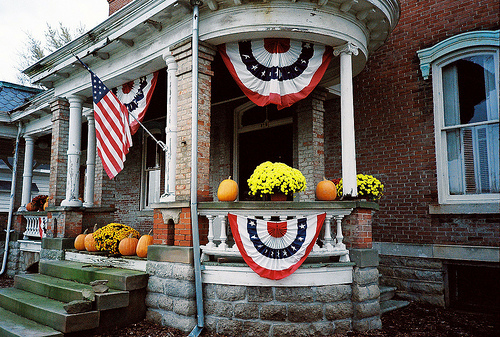 6:00 - 8:00 p.m - The Jones Mansion, 313 East Sandusky Street, Findlay, OH / Register, Meet - Greet - Eat - Goodie Bags. Chat and brief discussion of Saturday’s events. Notes: If you are not walking to the event you can park in the Marathon parking lot 2 doors west of the Jones Mansion after 5:30 pm. Please also note that the Jones Mansion was built in 1867, it is in 85-90% original condition, currently it is in full restoration. For your safety please use caution around work areas and respect restricted areas. 10:00 a.m. - Meet at the Jones Mansion - Group shot and begin walk. The Jones Mansion will be open for us at 9:00 a.m. for light breakfast munchies & coffee provided by the Baker’s Cafe. They will be serving coffee, teas, cookies, muffins, brownies and fresh fruit. If you are unable to attend Friday evening you will be able to pick up maps and ID badges there. Guided Film Walk in downtown Findlay, OH. First stop will be the Imagine That! & The Mecca Studio, 111 & 113 East Sandusky Street. where Michael will give a brief overview of all film formats. Anyone who is not familiar with a format will be invited to get hands-on instruction on loading, shooting and unloading. Leslie and Mat will also be on hand for instruction. We'll all head out and hit the streets for some shooting! Mat Marrash will be your leader for this event. 1:00 p.m. - Group disperses for lunch break. - You are on your own; this is not a group event. In your goodie bag are 2 Findlay brochures, they will have restaurant info and locations. Dorney Plaza is located on the south side of the Court House lawn, South Main and Main Cross Streets. The location is on the map provided. 3:30 p.m. - Afternoon break - Use this free time to keep shooting, freshen up etc. 5:00 - 7:30 p.m. - Polaroid Party hosted by Professor Jeff. Located in the Great Hall at the University of Findlay. See map for parking and building location. 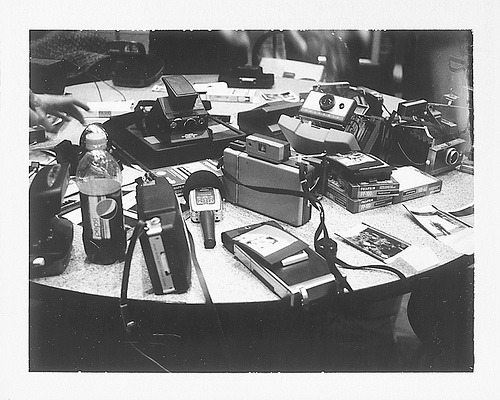 Shoot if you brought instant, play with cameras and film if you didn’t, observe casual demos pertaining to instant imaging - emulsion lift demo, neg bleaching, Impossible Film demo, Pack and Integral cameras will be loaded to play with. Giveaways and chitchat about the Sunday large format activities will close Saturday’s events. 10:00 a.m. - 1:00 p.m. Large Format Demo and shoot with Mat, Mike and Leslie. Whether you're a large format shooter (bring your camera!) or just want to learn, our Sunday event will surely please. 4x5, 5x7 and 8x10 cameras will be present! 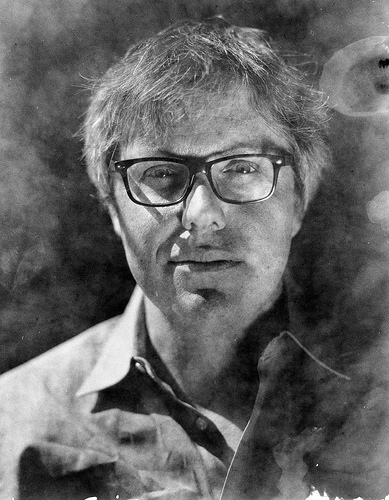 FPP Guy Mark Dalzell shot on FPP Blue X-Ray Film! Rumor has it that Mike Raso will be bringing some Blue X-ray film to share with large format users. Email Mike at michael.raso@filmphotographyproject.com with your size requirement and bring an extra film holder. Findlay Ohio is located just off I-75 between Dayton and Toledo OH. An old oil boom town Findlay is rich in history and the downtown district is vibrant with art, dining and family businesses. Special rate accommodations have been arranged at the Findlay Inn and Conference Center in downtown Findlay, It is only 2 blocks from our central meeting place, the Jones Mansion. Accommodations along the interstate are plentiful as well use your favorite internet hotel finder for more info. Breaking News: Rooms at The Findlay Inn are filling up fast! This event is presented by The Film Photography Podcast. Information above is subject to change. You must be 18 years of age (or be accompanied by a parent or guardian) to attend. WE'LL SEE YOU IN FINDLAY!